1760 She met David Louis de Constant d'Hermenches, a Swiss army colonel. Although he was married the two started an intimate correspondence which lasted for fifteen years. 1762/3 She published a novel highly critical of the nobility, Le Noble, anonymously. When her authorship became known, her parents withdrew her novel from publication. Her response was to limit herself to correspondence and privately circulated works as a way of sharing her ideas. 1766/67 She traveled to London and was received by many members of English society and was presented at Court. She invited philosopher David Hume for dinner at her lodgings. 1771 at the age of 30 she married Charles-Emmanuel de Charriere de Penthaz, a man who she met while he acted as tutor to her eldest brother. The couple settled at Le Pontet in Colombier, Switzerland. 1783 Belle resumed traveling. 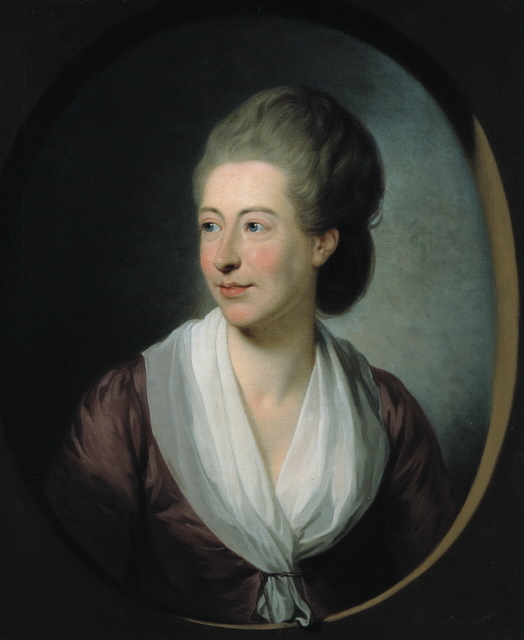 She travelled through Switzerland as well as to Paris and London, where she was a guest of David Hume. 1786/87 She moved to Paris for 1 1/2 years and at a salon, met Benjamin Constant, a nephew of David Louis de Constant d'Hermenches. The two developed a friendship and engaged in correspondence. In 1787 Constant spent two months at Van Zuylen's home in Colombier. The two kept up a correspondence for many years afterward. 1793/94 Van Zuylen was visited again by Benjamin Constant at Colombier for a period of four months. Allison, Jenene J. "Radical compromise. The political philosophy of Isabelle de Charrière," Literate women and the French revolution of 1789 , ed. : Catherine R. Montfort. Birmingham, Alabama, Summa Publications, (1994), p. 129-149. Cazenobe, Colette. "Les Lumières au pouvoir. La 'philosophie' d'Isabelle de Charrière à l'épreuve de la Révolution,"Une Européenne. Isabelle de Charrière en son siècle. Actes du colloque de Neuchâtel, 11-13 novembre 1993 éd. : Doris Jakubec & Jean-Daniel CandauxA, avec la collaboration d'Anne-Lise Delacrétaz. (Hauterive-Neuchâtel, Ed. Gilles Attinger, 1994), p. 87-121. Courtney, CP. Belle van Zuylen and philosophy, Utrecht, Faculteit der Letteren, 1995. Dijk, Suzan van, "Belle de Zuylen/Isabelle de Charrière: philosophe et historienne?" Cahiers Isabelle de Charrière / Belle de Zuylen Papers, 4, 2009, pp. 66-72. Fisch-Freedman, Gina. Isabelle de Charrière (1740-1805). A philosophical 'impromptu' in the age of reason (Dissertation) City University of New York, 1998. Hermsen, Joke J. "Now foolish then wise. Belle van Zuylen's game with sexual identity," Hypatia's daughters. Fifteen hundred years of women philosophers, Linda Lopez McAlister, ed, Bloomington, Indiana University Press, 1996, p. 165-180. Hesse, Carla. "Kant, Foucault and Three Women," Foucault and the writing of history. Papers presented at a conference held at the University of Chicago, October 24-26, 1991, Jan Goldstein, ed. (Oxford, Blackwell, 1994), p. 81-98. _____. The other Enlightenment. How French women became modern. Princeton: Princeton University Press, 2001. Rooksby, Emma. "Moral theory in the fiction of Isabelle de Charriere: the case of Three Women" Hypatia January 01, 2005. Still, Judith Still. "Isabelle de Charrière's Three Women - Adopting and adapting hospitality after Kant," German Life and Letters, v64 n1 (January 2011): 19-30.
van Strein, Kees, (ed.) Early writings. New material from Dutch archives. Leuven, Éditions Peeters, 2005. This page was updated 24 January, 2016.